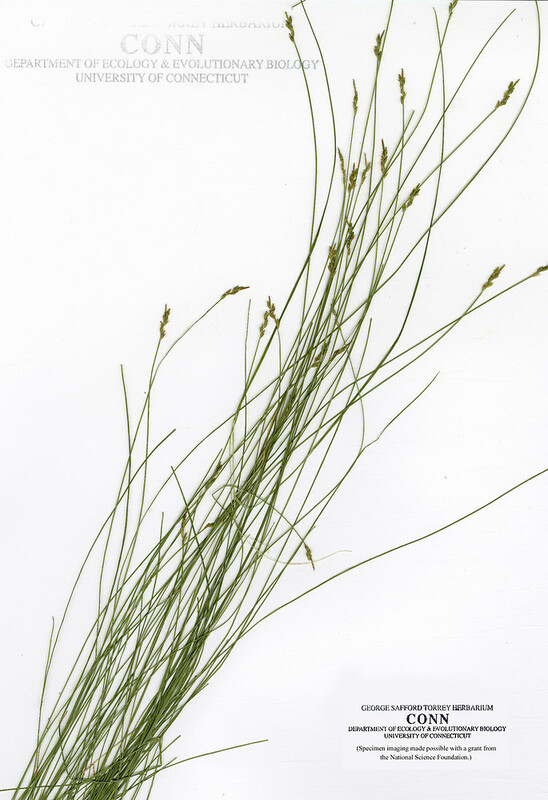 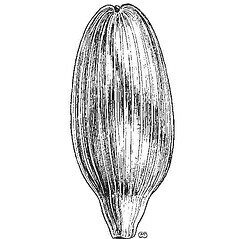 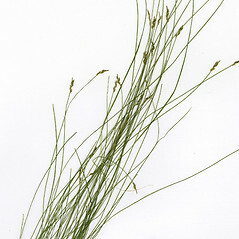 Bristly-stalk sedge has the widest geographic range of any North American sedge. 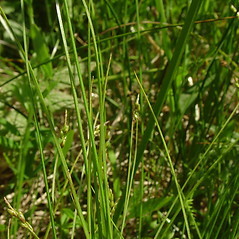 In New England it is typically a species of rich forests, swamps and fens. 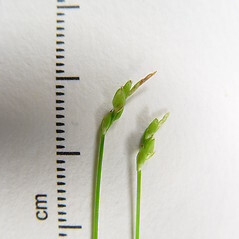 reproductive stems with 2-4 spikes crowded together, at least the terminal one gynecandrous, and flowers with 2 styles (vs. C. leptalea, with reproductive stems with a single spike, androgynous, and flowers with 3 styles). 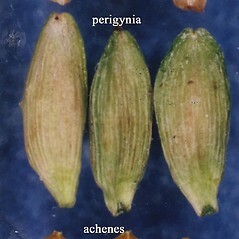 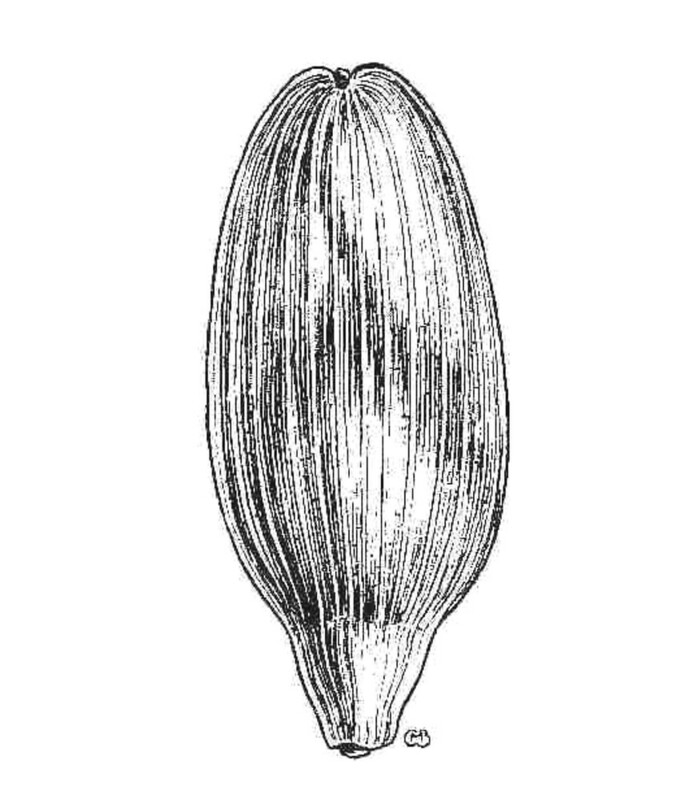 flowers with 2 stigmas, achenes lenticular, and perigynia with evident beaks (vs. C. leptalea, with flowers with 3 stigmas, achenes trigonous, and perigynia beakless). 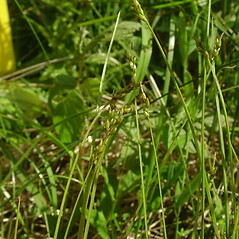 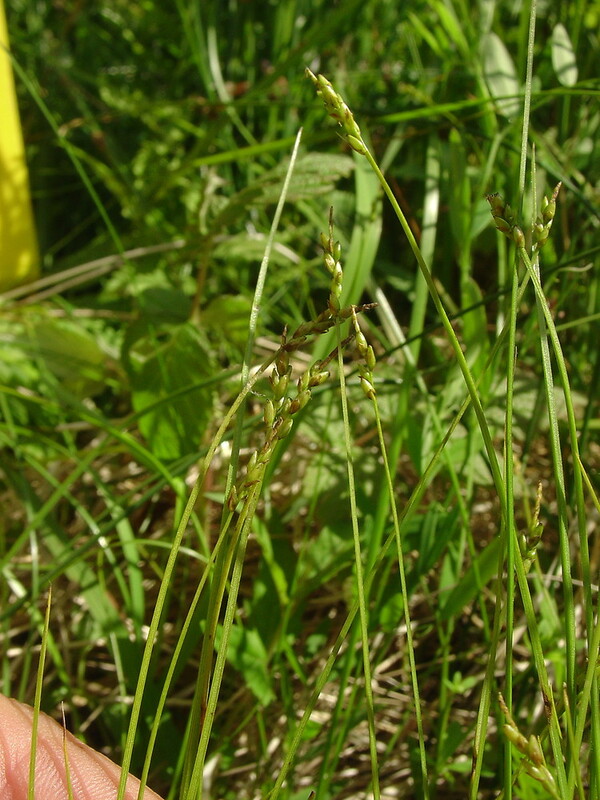 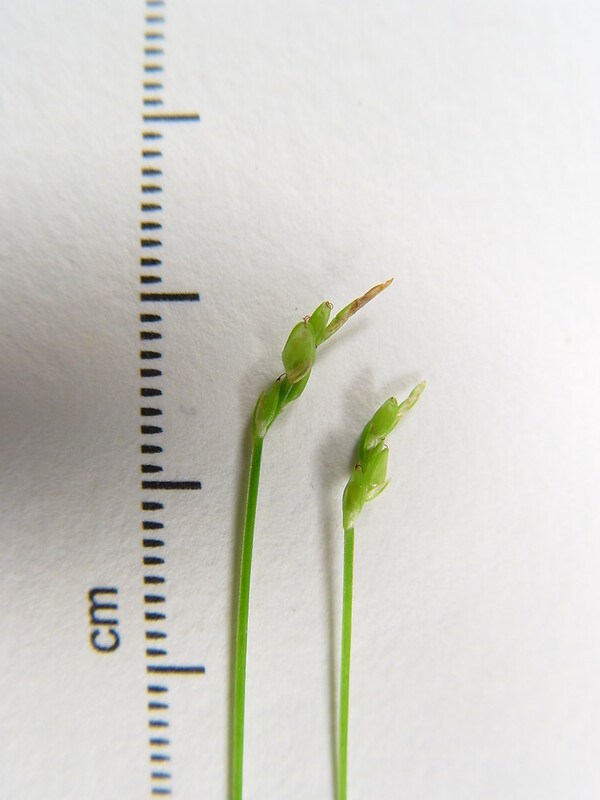 bristle-stalk sedge. 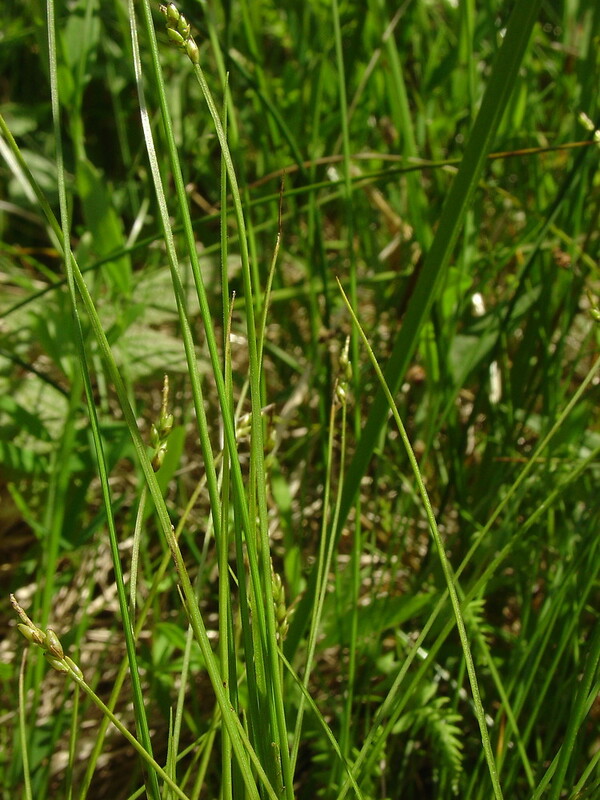 CT, MA, ME, NH, RI, VT. Forests, evergreen swamps, and wooded fens, usually in rich soils and/or areas with circumneutral bedrock.